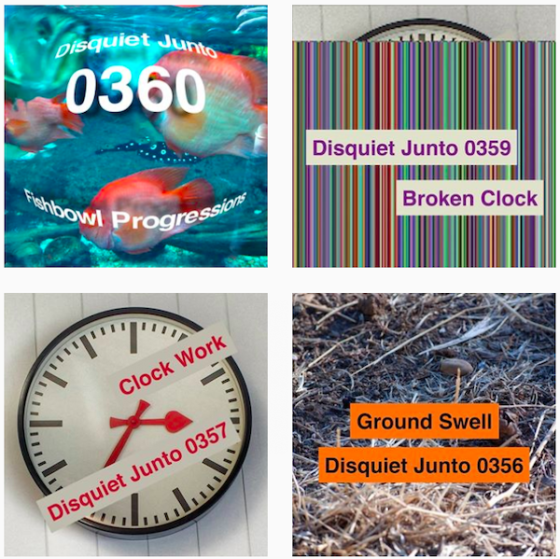 The cover image to this week’s Disquiet Junto project features more text manipulation than has generally been the case this year. Here’s to further deviations — visual, sonic, and procedural — in 2018. It’s Thanksgiving in the U.S. today, and I want to say thanks to everyone who is part of the Junto — past and present, long-timers and new arrivals. As I say each week in the email newsletter of the Junto, thanks as always for your generosity with your time and creativity. Thanks for all the ideas and the wonderful community you’ve created.